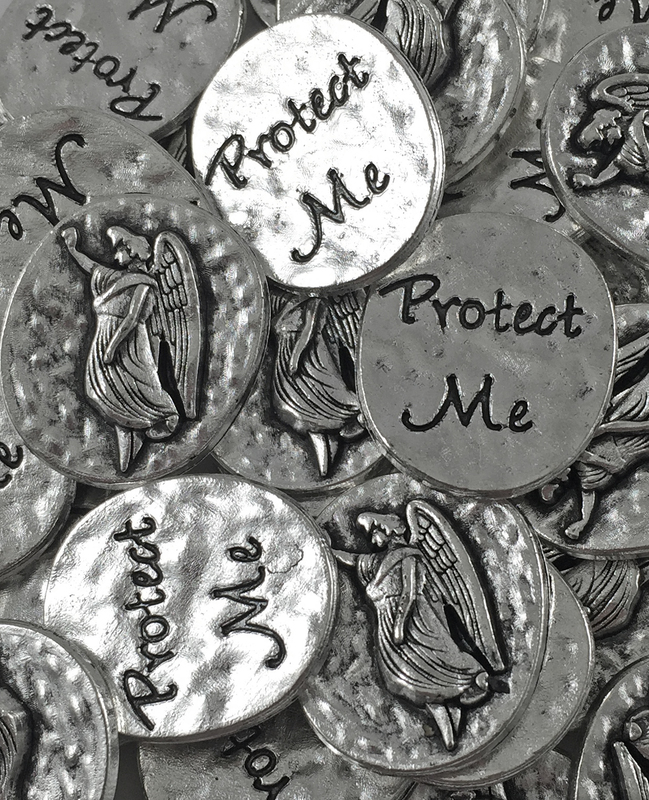 Protect Me – Guardian Angel Token (NEW!) – Stones, and Tokens, and Hearts, Oh My! Introducing our newest pocket token! Carry your own personal Guardian Angel in your pocket. Coin measures 7/8″ diameter and says Protect Me on the back. A great reminder that you have someone looking out for you.